For some, the perfect holiday means spending time shopping in some of the most famous streets in the world and perhaps even splashing out on exquisite pieces of jewellery. While you can get jewellery in practically any city or town, there are some holiday destinations that are particularly popular for jewellery shopping. The jewellery artisans of Birmingham have been creating awe-inspiring jewellery for nearly 350 years. 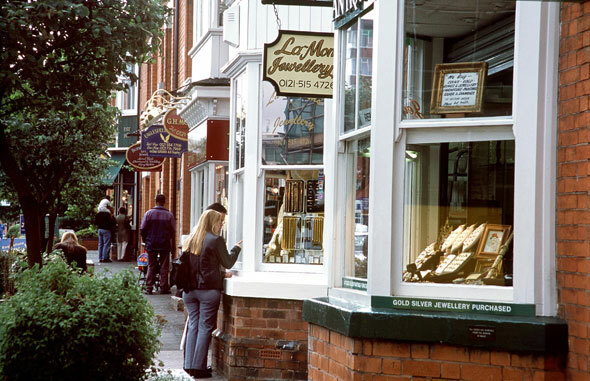 From fancy French shoe buckles to silver pen nibs, Birmingham’s Jewellery Quarter has it all. The exceptional silver jewellery that you can find here is not available anywhere else. This Quarter is a haven for jewellery buyers from all over the world. There are about 400 jewellery-related businesses here and out of these, 100 of them are retail shops. In addition, the area is teeming with designers who can create custom-made silver jewellery at reasonable prices. Whether you are looking for silver earrings, rings, bracelets, brooches or ornaments, you will be able to find it at the jewellery stores here. And, if you cannot find something to please your senses, you always can place an order with the artisans, who are expert silversmiths. The Jewellery Quarter is found in the heart of the city, close to Great Hampton Street and St. Paul’s Church. There are plenty of hotels to be found in the city centre and the jewellery quarter offers some of the nicest hotels that cater to all travellers. Stay near Birmingham’s Jewellery Quarter for access to some of the best artisan silversmiths in the UK. And, you will be able to get the most exquisite pieces of silver jewellery, especially designed for you. Paris is often associated with the Eiffel Tower and its museums and gardens, but many visitors also know that the City of Love is paradise for jewellery aficionados. Experience Paris’ amazing jewellery quarter to pick up some fabulous ornaments. The array of vintage jewellery at Paris’ jewellery quarter can be spellbinding. Intaglio cameos, mine-cut diamond bracelets and ruby-encrusted brooches can be difficult to resist. The jewellery quarter is located along Rue St. Honore. 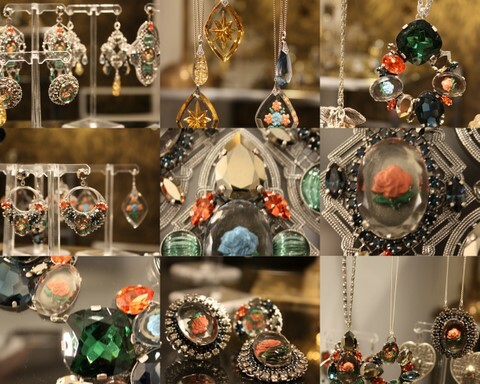 Here you will be able to find some of the best vintage jewellery shops in the city. Majority of the antique jewellery that you can find in this quarter is made from 18 karat gold, but you also will be able to pick up pieces in silver. Finding 19th century earrings carved with flowers and tiny bees can be fascinating and exciting. And, if you have the money to spare, you can pick amethyst collaret or even a crystal and diamond embellished lorgnette! If you are coming from the UK, you can easily book a short flight to Parisand be at the jewellery quarter within no time and browse through the amazing shops laden with antique jewellery. You surely will find something to suit your taste and of course, something that fits your budget.